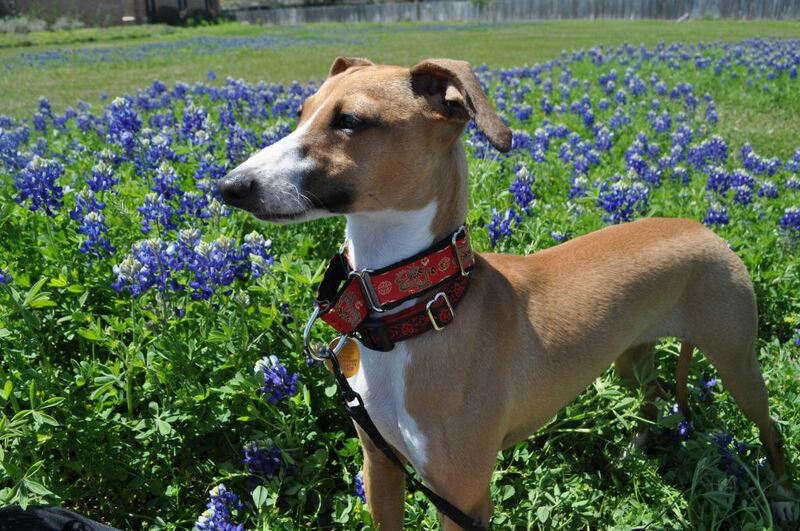 A Martingale collar could mean the difference between life and death for your Italian Greyhound. All sight hounds have slender long heads and IGs are no exception. Their heads are much smaller in comparison to the base of their muscular neck where an everyday collar sits. If you attach a leash to an everyday dog collar and your IG decides to get away from you-either through fear or the desire to bolt after something-the collar will likely slip right over that sleek head. At about 25 miles per hour, it is unlikely that you will get him back before he is out of sight or tragically hit by a car. Everyday collars are VERY IMPORTANT because this is where your IGs precious ID tags will hang, but for walks you need to slip on a Martingale collar or a very well fitted harness.